The Presagia team recently returned from the 2018 Disability Management Employer Coalition (DMEC) Annual Conference, where our friends Brenna Rose and Jessica Gilbert from Frisco Independent School District (FISD) led an inspiring session about their leave management journey. 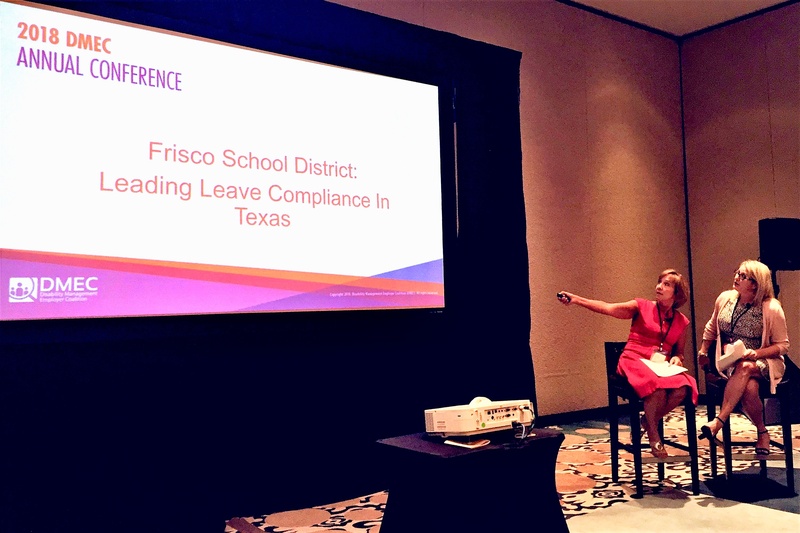 Their session, Frisco School District: Leading Leave Compliance in Texas, shared the amazing results of transitioning from manual leave administration to utilizing a cloud-based, in-house leave management software. The session detailed the journey that Brenna and Jessica took to manage leave with confidence, compliance and efficiency, with the help of the Presagia Leave solution. 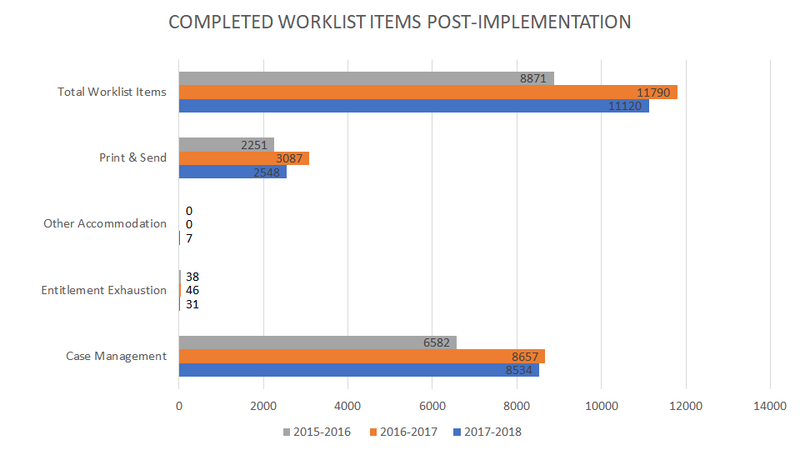 In fact, during this coming school year, their team will oversee and manage leaves across 6,970 employees, 87 locations and 26 unique work calendars! FISD is based in Frisco, TX, the fastest growing city in the United States from 2000 to 2009, and the second fastest in 2014 and 2017. In order to keep up with this rapid growth, FISD opens multiple new campuses each year. They also hire 600 to 800 new employees annually to serve their growing population of 58,860 students! 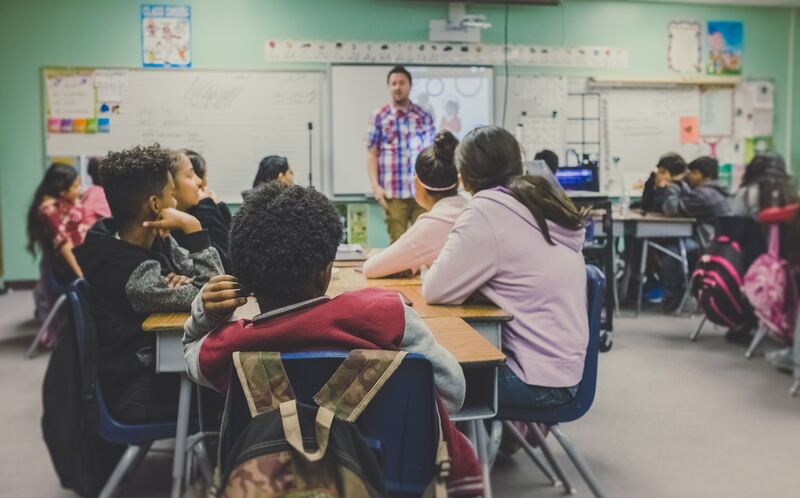 In addition to having multiple locations with many unique work calendars, the education sector tends to see an above-average volume of leave requests, and absences are disruptive as they usually require a substitute teacher. These factors interact to make leave management a challenge for many school districts, especially a flourishing district like FISD! In September 2013, FISD’s Benefits Department, led by Brenna, took over all leave processes. Prior to this, all leaves were administered by FISD’s HR Director. Upon taking over, it quickly became clear that managing leave with spreadsheets and through word-of-mouth requests was not going to be sufficient. 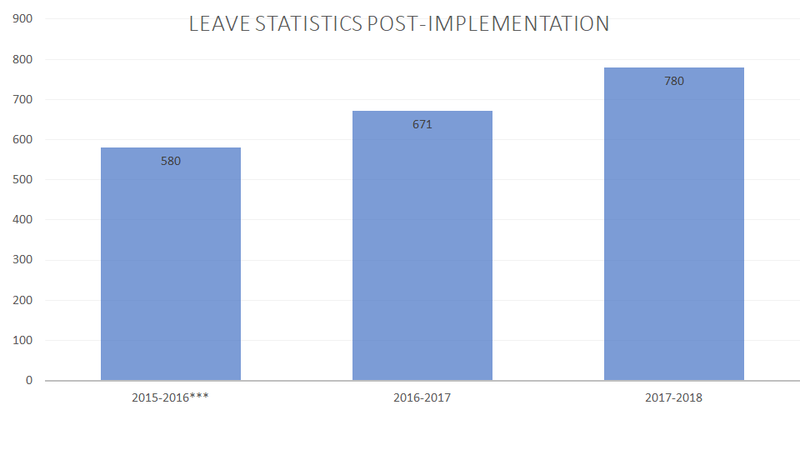 In their first full year managing leave, the department processed 783 leave cases manually, nearly doubling the 387 cases processed the previous year! 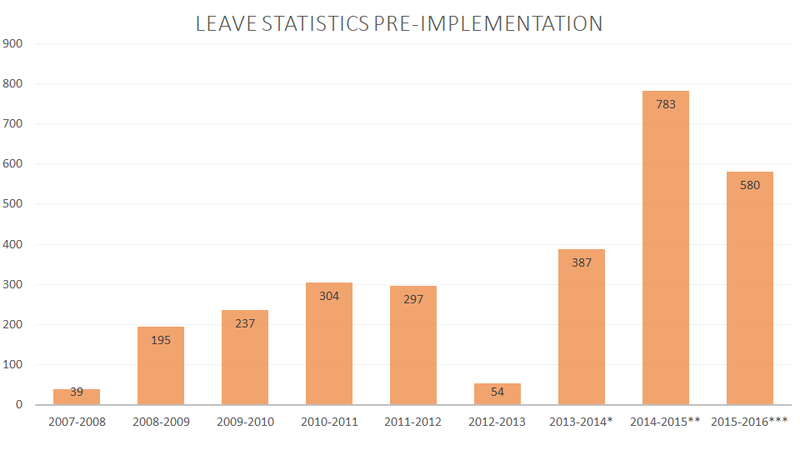 The huge leap in case volume was a wake-up call for Brenna’s department, who were managing the FMLA and other leaves to the best of their ability, but without personal legal expertise or the aid of a leave management system. They found that many employees’ leave requests came in late or not at all, and that staff were potentially exceeding their available leave entitlements. Without a district-wide process in place, concerns about the cost and risks of mismanaging leave drove FISD’s search for a leave management solution. FISD needed a system that would assume minimal leave knowledge, automate processes and documentation, and follow all legal requirements, including those set for the FMLA. They considered developing their own system, but ultimately decided it was not a feasible option. Outsourcing also wasn’t an option, as they have an employee-focused culture and want to provide hands on service to their people. Fortunately, a neighboring school district recommended Presagia and invited Brenna on-site to see it for herself. FISD ultimately decided to implement Presagia’s leave management solution, and rolled it out in September 2015! As a result of revamping their leave program, FISD is able to process more cases than ever before, allowing them to keep up with their 10% annual employee growth! Presagia’s constant monitoring of leave legislation updates has given FISD peace of mind about the compliance of their leave program. And, they’ve been able to learn about applicable leave legislation and best practices from each case they’ve entered into the system. The Benefits Department is now constantly on top of all leave cases thanks to notifications and reminders within the system, allowing them to immediately address issues such as leave exhaustion. They’ve mitigated losses resulting from leaves extending past entitlement, and are able to return employees to work sooner due to more efficient processes and better communication. FISD’s leave management program is now streamlined with guided workflows and automatic correspondence generation, allowing their small leave team to process over 11,000 worklist items (tasks due over the course of a leave case’s life-cycle) in a year! The majority of leaves taken are for oneself. Pregnancy is the most common condition that leave is taken for. 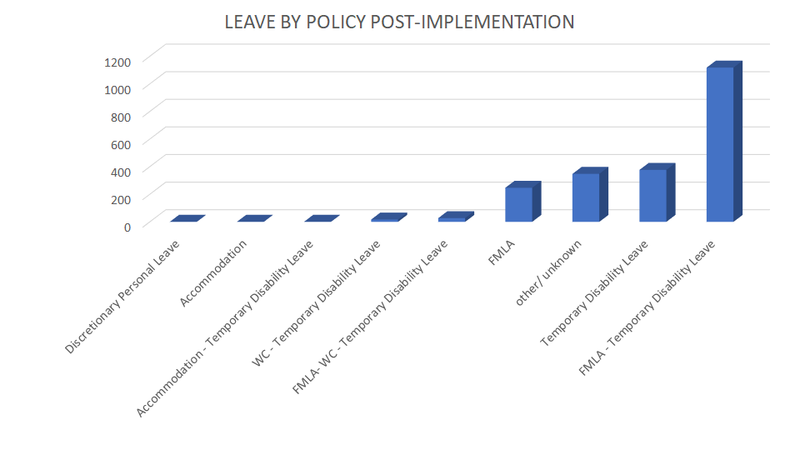 FMLA with concurrent Temporary Disability Leave has the highest utilization. 6% of all leave cases are intermittent. FISD has also identified the 3 departments with the highest leave volume across all of their locations, enabling them to better target interventions and take proactive measures to support their employees. With insights such as these, and confidence levels soaring, FISD looks to the future to further improve their leave program! The district approved a new full-time Leave Specialist position, which has been filled by Jessica, and they plan to continue to enhance their program going forward. 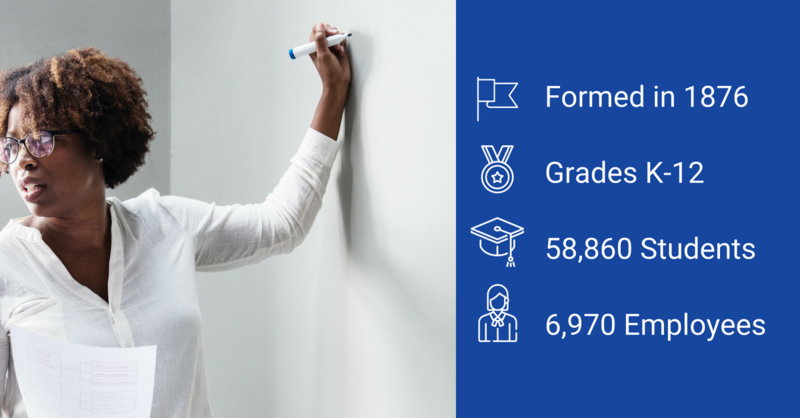 This is just the beginning of Frisco Independent School District’s amazing results from revamping their leave management program and implementing our leave management solution! To see FISD’s full results, check out their presentation by clicking the button below!